iOS 9 is finally here, and more than 50 percent of iPhone and iPad users have already downloaded it, a figure which represents the fastest iOS adoption rate ever. 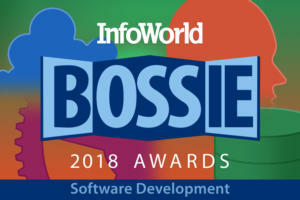 Though one of Apple’s primary goals with iOS 9 was to improve overall stability and enhance system performance, Apple still managed to infuse a number of new and interesting software features that help make the overall user experience that much more efficient and intuitive. 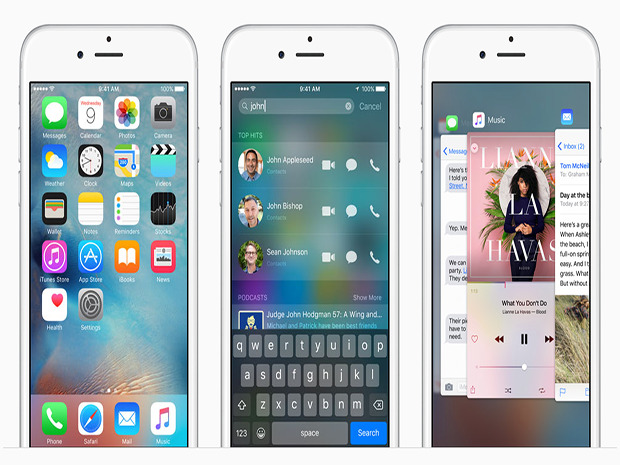 That said, here is a list of tips and tricks that will help you get the most out of iOS 9. This one has been a long time coming. Rumored for years, Apple in iOS 9 finally got around to incorporating transit directions directly into its homegrown Maps app. Though just available in 10 cities outside of China -- Baltimore, Berlin, Chicago, London, Mexico City, New York, Philadelphia, San Francisco, Toronto, and Washington, D.C. -- Apple will likely expand the list of supported cities in the months to come. To access public transit directions, simply open up Apple Maps, type in an address, and select the transit option. 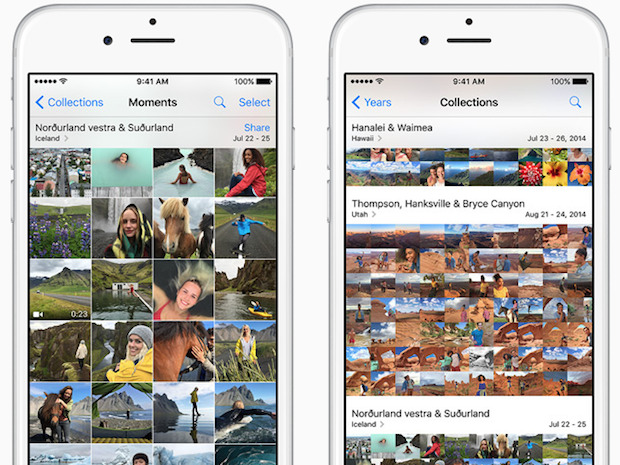 With photos becoming the primary focus of the smartphone experience, Apple thankfully came up with a simpler way to select multiple photos from the Photos app. Instead of having to tap on individual photos one by one to select them, iOS 9 allows users to simply tap on one photo and then drag their finger over whatever other photos they’d like to include. To to do so, open up the Photos app, hit ‘Select’ in the upper right hand corner, and begin dragging. In an effort to make mobile websites quick and easy to read, some websites strip out far too much functionality. Sometimes, users simply prefer looking at the desktop version of a website on their phones or tablets. 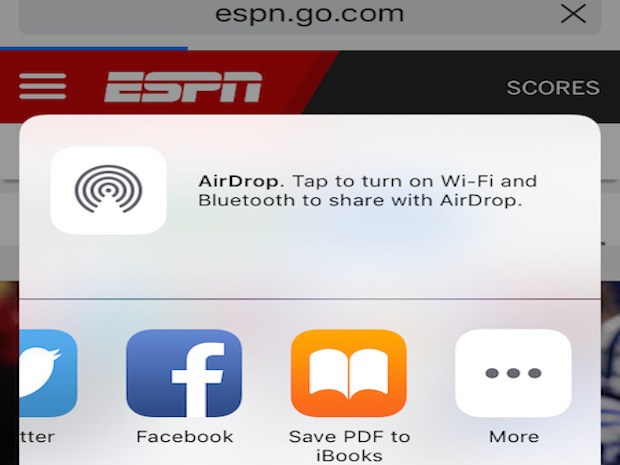 With iOS 9, Apple has made accessing the desktop version of mobile websites incredibly easy. 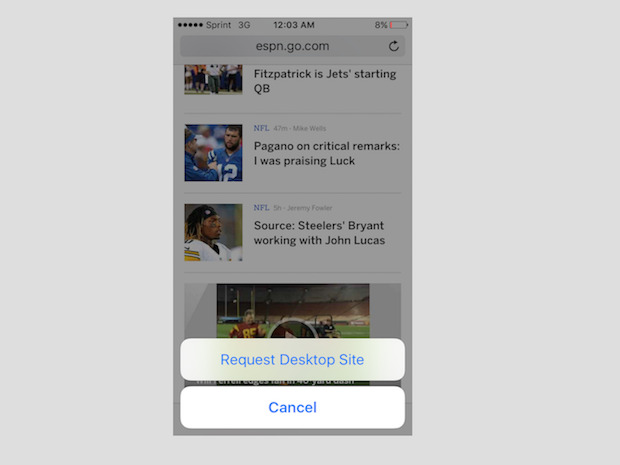 To do so, simply tap and hold the mobile Safari refresh button in the address bar and you’ll soon see a “Request Desktop Site” option appear towards the bottom of the screen. Battery life is always of utmost concern when using an iPhone. 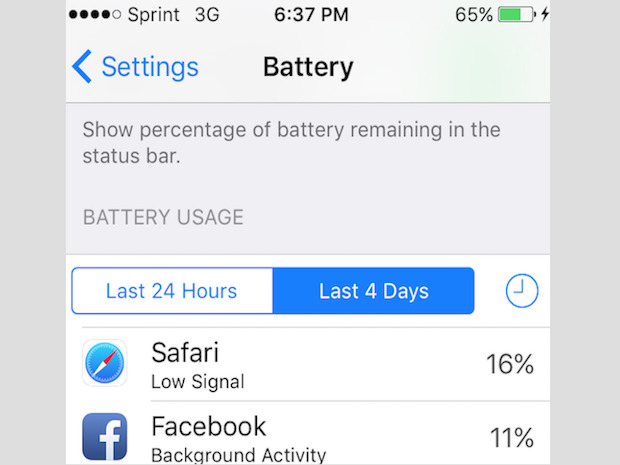 Thankfully, iOS 9 makes it incredibly easy to keep tabs on which apps are using a disproportionate amount of your battery life. In order to see a detailed breakdown, go to Settings > Battery. Next, scroll down and you can see which apps are up to no good. Apple in iOS 9 has moved this feature around. If you want to quickly call or message someone you contact frequently, you can simply activate spotlight by swiping to the right from the iOS home screen. More so than any other feature, iPhone users have long clamored for better battery life. 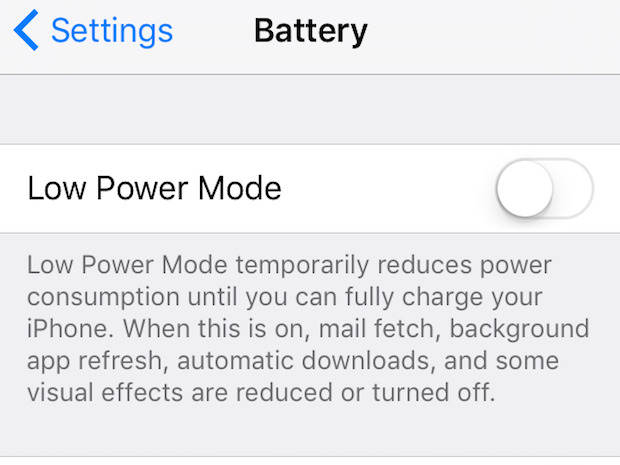 iOS 9 helps out in that regard with a low power mode that users can activate manually. When enabled, low power mode turns off automatic downloads, background app refresh, and other activities that might prematurely zap your battery. Low power mode can be activated by opening Settings > battery and toggling the switch on. Again, with photo libraries now growing in size, iOS 9 makes it easier than ever to quickly scroll through one’s library. 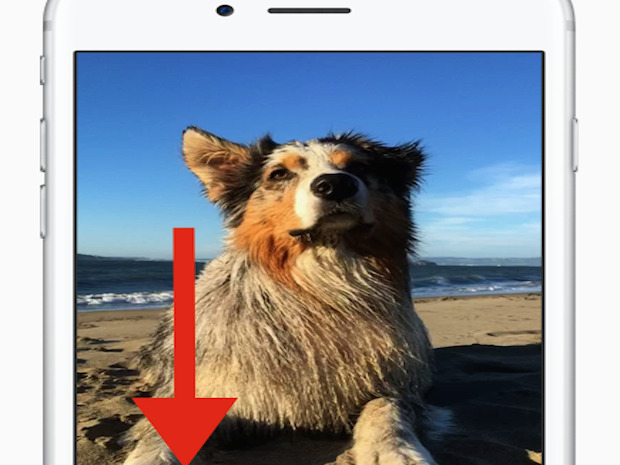 If you open up the Photos app and select a photo, you’ll notice a horizontal pane on the bottom of the display. You can use this to swipe right or left to quickly browse through your entire library. This feature should definitely prove to be a time saver. At long last, iOS 9 lets users zoom in on videos while they’re playing. Naturally, zooming in on a video is as easy as you might suspect -- simply double-tap the screen while a video is playing. In turn, simply double-tap the screen again in order to zoom out. 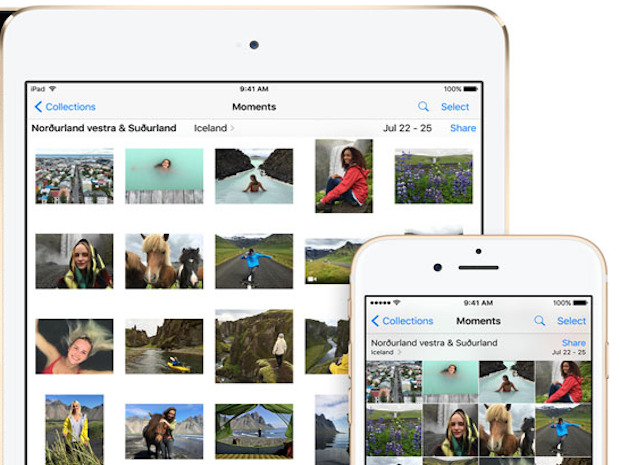 With iOS 9, Apple has made the photos app UI easier to use than ever before. For example, if you're looking at a specific photo, you can dismiss it and quickly go back to the photo grid or the camera view simply by swiping the photo downward. This is somewhat similar to how Facebook's iOS app works. All in all, this is much more efficient than always having to tap the back button in the upper left-hand corner. 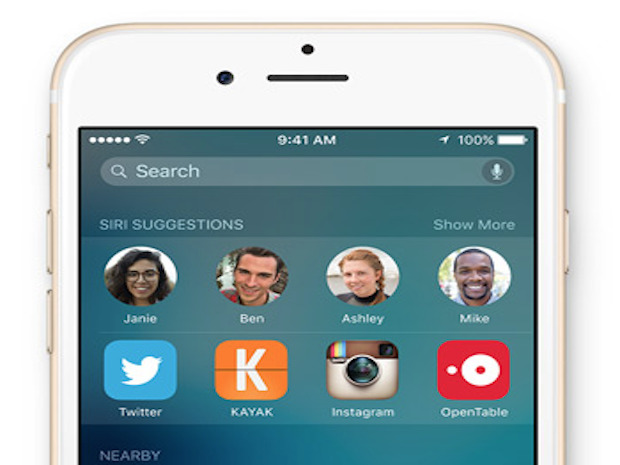 In iOS 8 you could change Siri’s voice from female to male. 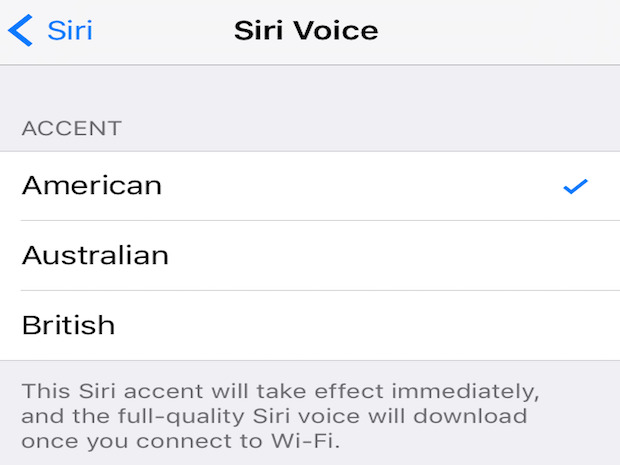 In iOS 9, it’s now easier to change the accent as well. To do so, simply go to Settings > General >Siri > Siri Voice. If you swipe to the left of the iOS home screen, you’ll see a new layout with options to discover nearby spots to get food, have some fun, shop, or even get gas. Notably, the suggested list of “nearby” options will change based on the time of day. So in the morning, for instance, you'll see nearby breakfast sports rather than dinner options. iOS 9 makes it easy to annotate and markup photos from within the mail app. Once you attach a photo to a draft email, simply tap the photo once and you’ll be presented with an option to “markup” the photo. Once selected, you’ll be presented with a host of editing options. You can add text, sign documents, zoom in on photos, and annotate to your heart’s content. By default, notifications in iOS 9 are organized by time. 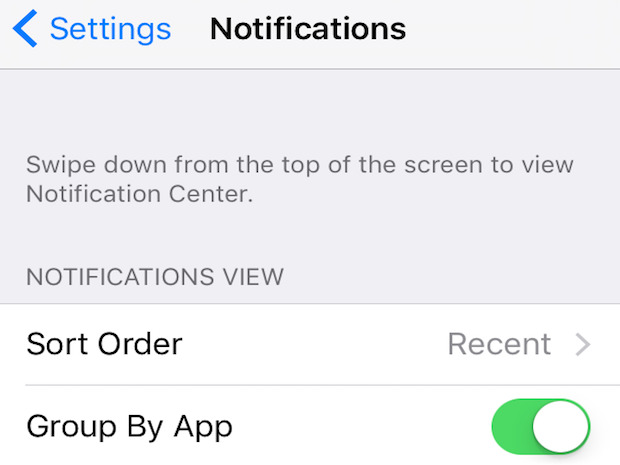 If, however, you’d like to see notifications in iOS organized on an app-by-app basis, you can easily set this up by going to Settings > Notifications > Group By App and then hitting the toggle. iOS 9 makes it easier than ever to find a specific text message you're looking for, even if it happens to be buried deep inside a long iMessage string. Searching for a specific message can be done by simply scrolling to the top of your messages view, entering a query, and hitting return. From there, iMesaage will take you right to the phrase in question. This is undoubtedly a huge timesaver. Notes in iOS 9 is more powerful than ever, now granting users the ability to draw and sketch in an array of colors. To call it into action, simply tap the + icon located in the bottom-right-hand corner of the notes app and then tap the squiggly line icon located to the right of the camera icon. You’ll then be presented with virtual pens, pencils, and even a ruler. Similar to accessing the drawing feature in Notes, you can quickly create a to-do list by tapping the + icon and subsequently tapping the checkmark icon on the left of the screen. Need to make a quick calculation? Well now there’s a way you can do some basic math without having to open up the calculator app. The solution? Spotlight. 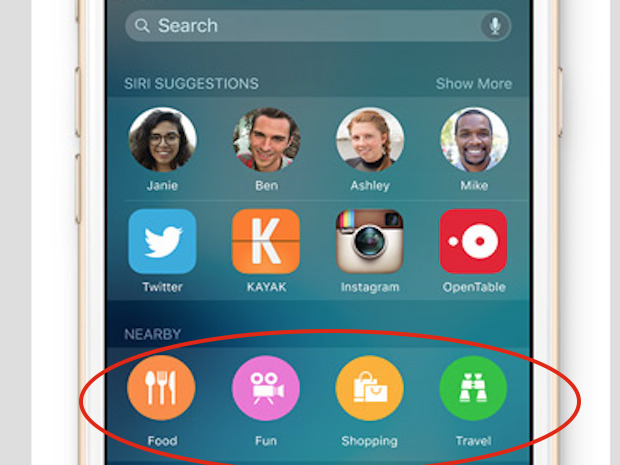 To access Spotlight, swipe downwards from the middle of the screen just as you did in iOS 8 and iOS 7. With spotlight at the ready, type in whatever math problem you have and you should be all set. With so many new features, the Settings pane on iOS has gotten a bit unwieldy. Because it can be sometimes hard to find what you’re looking for, there’s now a search box at the top of the settings pane that should help you find what you’re looking for in a jiffy if you’re not quite sure where to look.